Stoneham Golf Club spans a parcel of ground that was actually worked over by the esteemed landscape architect, Capability Brown, in 1775. Since then there have been a few cosmetic changes – not least the addition of a golf course – but the land is still a joy to behold. 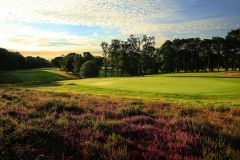 Set in charming surroundings, Stoneham is one of the south coast’s real gems, and is an essential part of any good Southampton golf tour.